A anthology of pirate stories from the historical to the fantastical and beyond! Ginn Hale – “Treasured Island” – Can a pirate marooned on a gloriously fantastical floating island find himself again? Ashley Deng – “The Seafarer” – A Barbary corsair returns from an alternate world to face old foes. Joyce Chng – “Saints and Bodhisattvas” – A beautiful woman hires a pirate captain to track her father’s killer through the fabulous waters of the Golden Chersonese. Ed Grabianowski – “The Doomed Amulet of Erum Vahl” – A heroic pirate and her lover are stalked by an unspeakable evil. Can they stop the end of their world? Mharie West – “The Serpent’s Tail” – A Viking family encounters greater perils than a simple raid. Megan Arkenberg – “Between the Devil and Deep Blue Sea” – A wounded pirate risks capture by her greatest foe to save her shipmates. Elliott Dunstan – “Andromache’s War – What happens when one of the widows of Troy can decide her own fate? Geonn Cannon – “Rib of Man” – Captain Henriette Talmadge and her crew find an unexpected treasure aboard a ship they’ve taken. Su Haddrell – “A Smuggler’s Pact” – A pirate ship’s second mate in a dire situation finds an unlikely ally in the swamps of Louisiana. Soumya Mukherjee – “The Dead Pirate’s Cave” – A kidnapped child, an evil pirate and dangerous mechanical beasts make for a harrowing adventure! Matisse Mozer – “Rosa, the Dimension Pirate” – How do you outwit a pirate when he’s taught you everything you know? Caroline Sciriha – “A Crooked Road Home” – Can a young space pirate find redemption? Peter Golubock – “After the Deluge” – Sail the former streets of post climate apocalypse New York City with Captain Teresa Chang and the pirate crew of the good ship Pizza Rat! 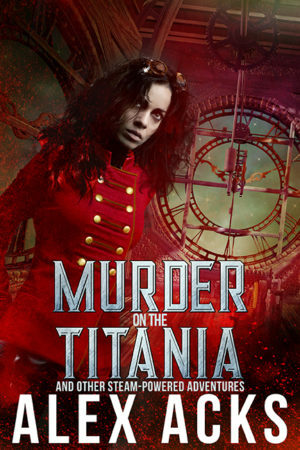 Michael Merriam – “Tenari” – A pirate crew tries to save a space freighter full of children from a terrifying creature. A.J. Fitzwater – “Search for the Heart of Ocean” – Captain Cinrak the Dapper takes her crew on a quest for a jewel out of legend. Read the rest of the review at The Nerdy Girl Express. 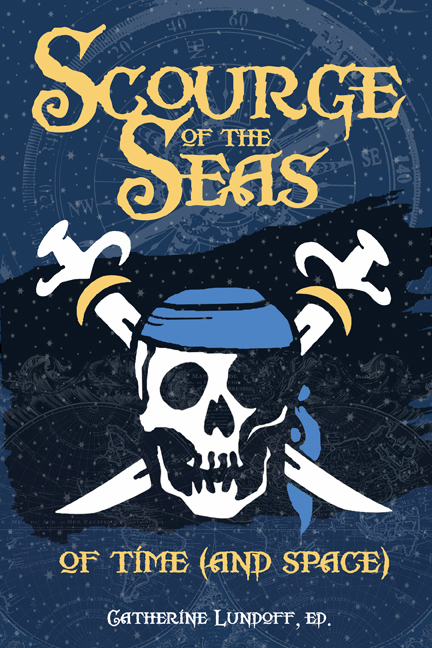 “Scourge of the Seas of Time (and Space) by Catherine Lundoff is an awesome collection of pirate stories that comes out on December 1st.” Read the rest of the review by Elysa at WordsWordsWords. “This book is a treasure trove of swashbuckling diversity.” Read the rest of the review at Fantasy Inn. Publishers Weekly says: “This compendium of pirate tales showcases stories that defy the limits of the genre. Revenge, romance, and jealousy all come to play in this collection. Each pirate world is different from the last, and the characters brim with life.” Read the rest of the review here. Earl Grey Editing reviews says: “All in all, Scourge of the Seas of Time (and Space) is an anthology with heart and was a welcome read in stressful times.” Read full review here. Runalong the Shelves says: “The hall mark of this collection is the creativity of the worlds the authors create. Each tale is its own universe and the ships and characters all feel their own creation. It makes these stories really work for a 21st century audience and to see pirates in such diversity makes it clear this is not a genre simply for Jack Sparrow fans we can all play a part. So, if you fancy a trip away from the winter cold and move to the warmer tropical seas with added adventure you want this book!” Read full review here. 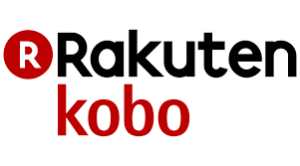 Keith John Glaeske at Out in Print says that “Pirates are complicated figures: like vampires, they are simultaneously romantic figures of history and legend, and bloodthirsty criminals, depending upon your perspective. Lundoff captures that complexity through the diversity of her stories. 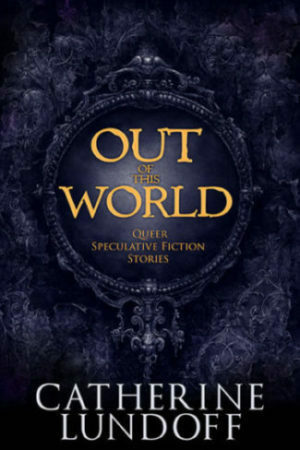 Chosen from almost 100 submissions from fourteen countries, the fifteen stories in this volume feature female pirates, male pirates, non-binary pirates, even non-human pirates; pirates who sail the seas of our Earth, the waters of other Earths, even the far reaches of outer space. These pirates look for treasure, excitement, danger, revenge, the past, the future, and/or redemption; some of them may even find what they seek. 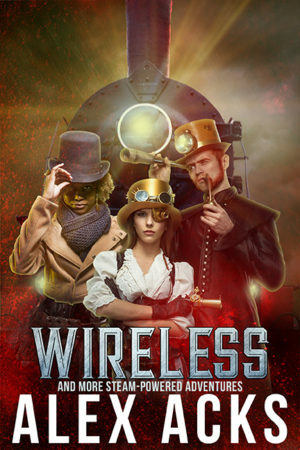 What you will find is a treasure trove of unforgettable adventure.” Follow link to read the full review. Nathan is doing a story by story review of Scourge of the Seas. Check out more here. Sara Uckelman of SFF Reviews is doing a story by story review of Scourge of the Seas. Check out the reviews here.